The perfect gift for any new or longtime fans of the National Book Award-winning (The Penderwicks, book 1), New York Times-bestselling series that's been compared to Little Women! 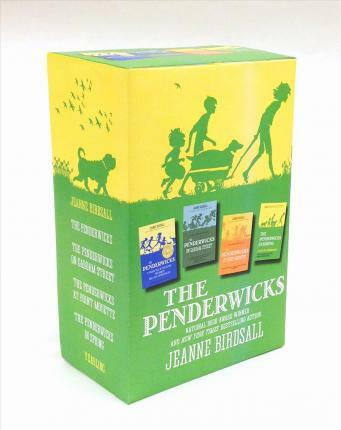 Jeanne Birdsall is the National Book Award-winning author of the children's book The Penderwicks and its sequel, The Penderwicks on Gardam Street, both of which were also New York Times bestsellers. She grew up in the suburbs west of Philadelphia, where she attended wonderful public schools. Although Birdsall first decided to become a writer when she was 10 years old, it took her until she was 41 to get started. In the years in between, Birdsall had many strange jobs to support herself while working hard as a photographer. Birdsall's photographs are included in the permanent collections of museums, including the Smithsonian and the Philadelphia Art Museum. She lives with her husband in Northampton, Massachusetts. Their house is old and comfortable, full of unruly animals, and surrounded by gardens.